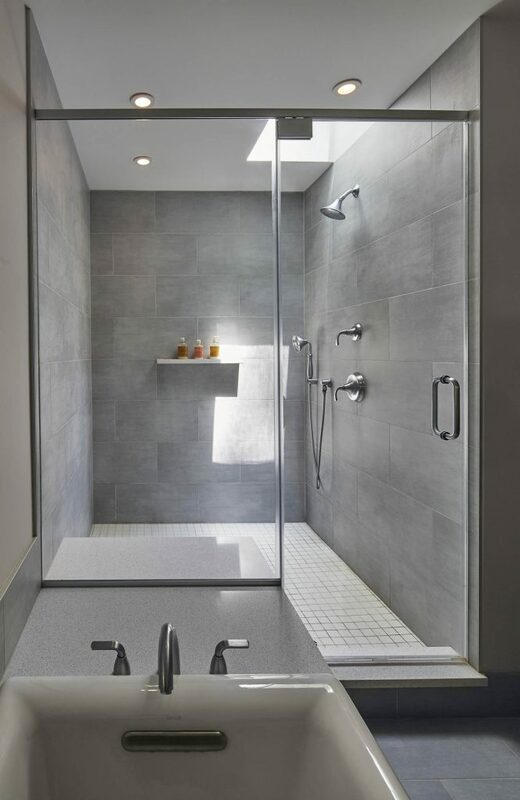 Matte gray porcelain field tile covers the walls of a light-filled frameless shower, while a white mosaic floor offers sure-footed traction beneath. Transitional fixtures—including showerhead and hand spray—in brushed nickel complete the generous space. The shower’s gray porcelain tile repeats as a surround for the drop-in cast iron tub and contiguous floor. 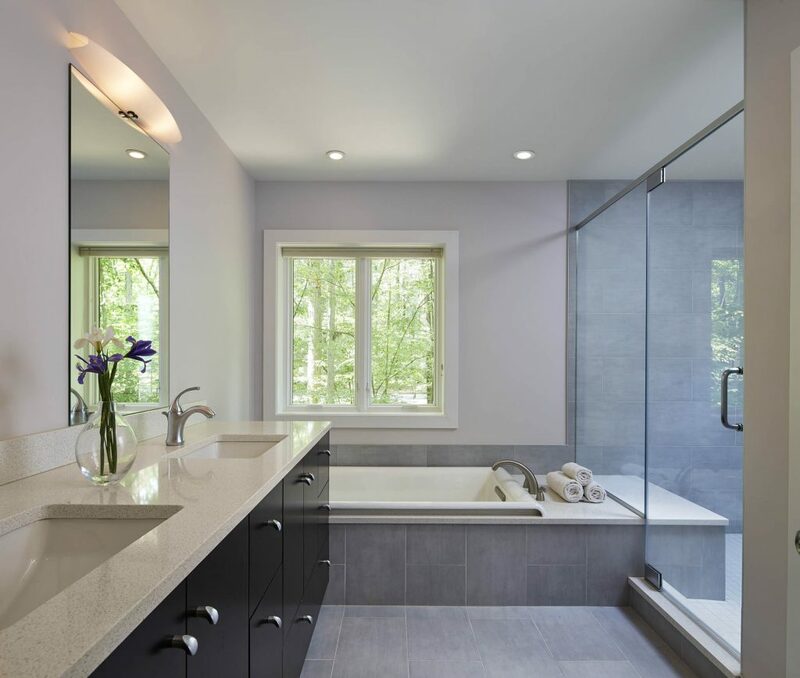 An extra-wide tub deck extends beyond the tub filler into an adjacent shower seat. A double-sink vanity, in rich espresso with a creamy quartz counter and brushed nickel accents, delivers ample storage.